Our top 20 beaches to visit on the Costa Rica Pacific include everything from Costa Rica’s cleanest beach, to the biggest party beach, and a beach whose coast is made entirely of small shells. There’s a beach for every personality on this list! Many people fly into Costa Rica’s newest international airport at Liberia. Liberia is a strategic point as it is about 20 minutes from the nearest beach. If you are going this route, there are several different clusters of top beaches we recommend. 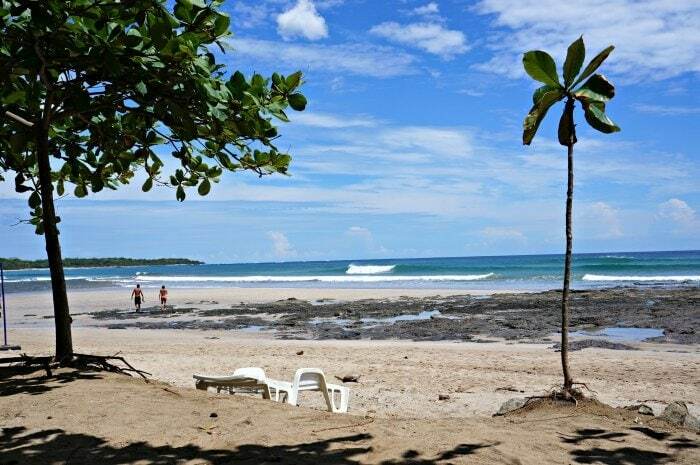 Tamarindo is one of the most developed beaches in the northern Guanacaste area- there are countless hotels, restaurants, tour operators, surf schools and more. 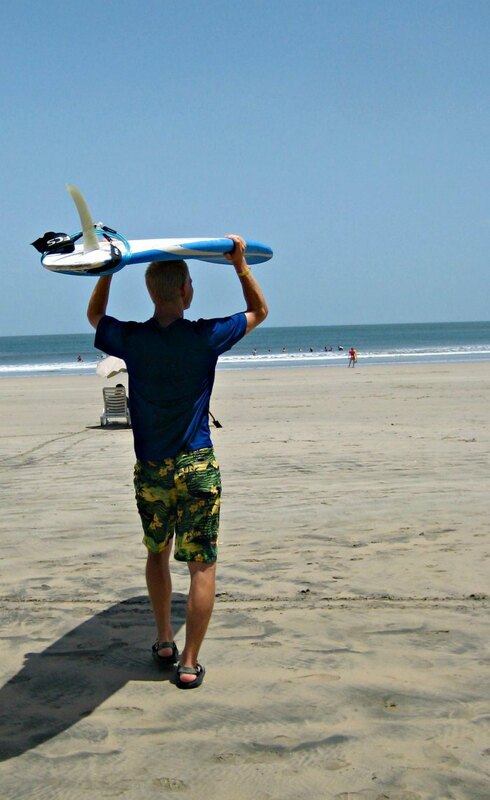 A long swath of white sand beaches with waves that are perfect for those learning to surf is that best characterizes Tamarindo Beach. 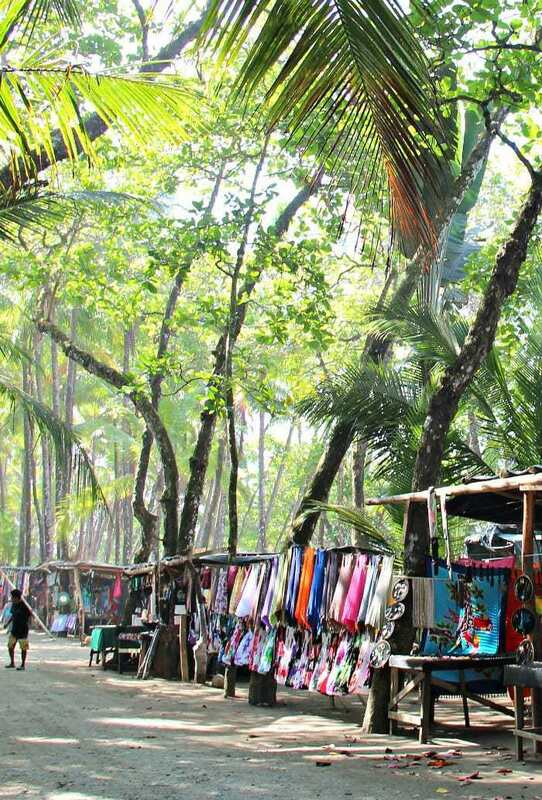 The town of Tamarindo is also one of the busiest tourist centers in the region, making it less calm than other areas. Make sure to keep a very close eye on your belongings, and expect a party/Spring Break vibe here year-round. Within about 45 minutes of Tamarindo Beach are two of the best-kept secrets in the northern Guanacaste region. Playa Grande is home to a pristine white sand beach that seems to stretch endlessly. Lined with shade trees and palm trees that are just begging for a hammock, Playa Grande is often deserted. That means it is perfect for families looking to relax and enjoy the beach. High tide brings in lots of surfers, which is fun to watch! There are several restaurants on the way in and out of the main parking area, so you can easily pack up and grab a bite before heading back to the beach for sunset. With few hotels and a host of high-end private residences, Playa Grande is super chill. Playa Avellanas may very well be my favorite beach in Costa Rica. It’s well off the beaten path, and up until recently, most people didn’t even know it was there. 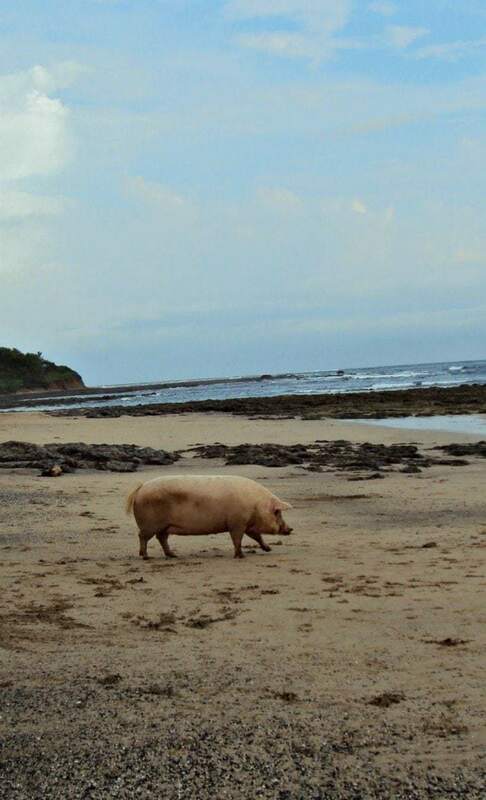 Home to one of my favorite restaurants- Lola’s- you will often find the big pink pig named Lola wandering the beach. There are tons of shade trees along the beach, tidepools and perfect surfing and boogie boarding waves. Apart from Lola’s, there isn’t much in the way of services at this beach, so make sure to pack in what you need for the day. Want to know our top beach picks for families with young children? Check them out here! Playas del Coco is one of the closest beaches to the Liberia airport, making it a preferred home base for many tourists. Boasting a Hard Rock Café, a huge American style supermarket, and countless bars and restaurants, Coco Beach is definitely the happening place to be. This beach is also a hub for international visitors looking to scuba dive in Costa Rica as it’s near some of the most crystalline waters in the country. It’s also rife with prostitution, muggings and petty crimes, and not my favorite place to hang out after dark. The beach isn’t very nice either- although the community is making a huge effort to clean it up. If Coco Beach is your home base, not to worry! There are several amazing beaches nearby where you can spend a calm day before heading back into the fray. Playa Hermosa in the north is a tiny little inlet home to crystal blue waters, tiny local restaurants and tons of local Costa Rican families. The banana boat driver often comes offering inexpensive rides that keep everyone laughing. The waves are calm, and there are tons of mini supermarkets just steps from the beach. The sunsets here are EPIC. 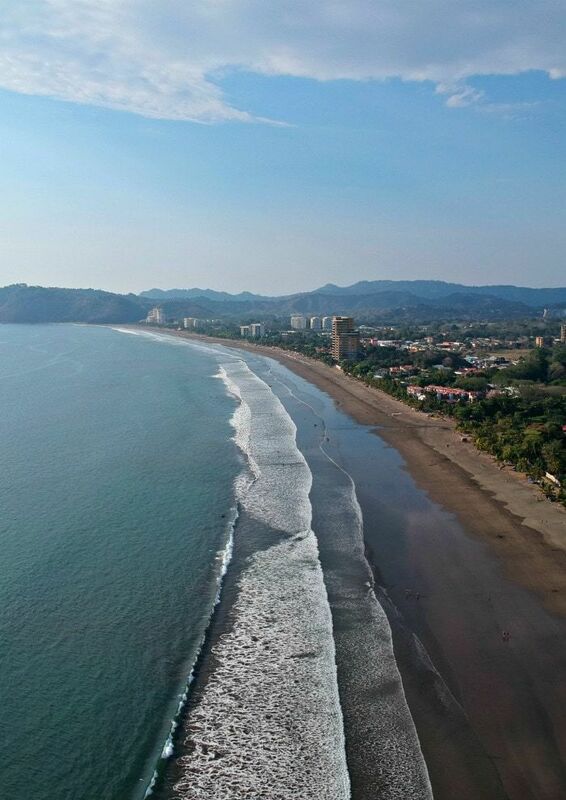 There are two Hermosa Beaches in Costa Rica, so don’t get confused! The other is adjacent to Jaco, about a 5-hour drive south of Coco Beach. Make sure you put in the correct Hermosa Beach to your GPS, Waze or Google Maps. Another one of my favorite beaches, Playa Panama is an easy trip from Coco Beach. The beach is groomed to a gorgeous wide flat area lined with palm trees leading up to the small beach. The water is warm, the waves are small, and the atmosphere is super calm. Not much in the way of services here either- but don’t leave too soon. The sun sets right over the water most times of the year, making the end of the day at Panama Beach the place to be. Playa Ocotal is a tiny little hidden gem just about 4 km from Playas del Coco, making it a great taxi trip for the day. The beach is relatively small and shaded, and there are lots of tiny tide pools for snorkeling and exploring. Starting about 11 am there are two professional massage therapists who offer beachside massages at very reasonable prices. Cash only. Another reason to visit Ocotal Beach is it’s the restaurant, Father Rooster. Father rooster is located right on the beach, and there are hammocks, swings, and tables in the sand. Offering a wide variety of typical Costa Rican cuisine, the prices are excellent for a beachfront restaurant. Expect to pay between $7-10 a plate. With an extensive beer, wine and cocktail list, also expect to stay awhile. Father Rooster also offers a nice kid’s menu and high chairs. Playa Conchal is one of my favorite beaches in all of Costa Rica. It’s named so because the beach is made entirely of shells. The water is blue and warm, and the weekend vibe here is festive with DJ’s, a small food vendor and more. Conchal Beach is located adjacent to the Westin Beach Resort, and they’ve got all the parking. the best way to arrive at Playa Conchal without staying at the Westin is to park at the public parking lot at Braslito Beach. You’ll pay a few dollars and then hike over to Conchal at low tide. Stay for the day and hike back at the next low tide. You’ll love it- I promise! Playa Samara has long been known as one of the best beaches for families in Costa Rica- and locals love it here. The beach is crescent-shaped, lined with palm trees, and the water is relatively warm. There are plenty of accommodations to fit every budget, same for restaurants. Samara Beach is a favorite- with ample parking and a great family atmosphere. You could boogie board here, but probably not surf. Next to Samara is Carrillo Beach- a picture perfect half circle of a beach lined with fantastic palm trees. The water is bathwater temperature and the waves are nearly non-existent. You can take a pool float and just relax. There are no services at this beach, and little shade. Pack what you need and avoid arriving at the heat of the day. We love to use a big beach umbrella to cut down on the sun’s rays between 10 am and 2 pm. Santa Teresa Beach is a popular site for tourists given how many amazing restaurants, hotels and activities are here. The beach is wide white sand with turquoise water and big waves. The palm trees are set pretty far back from the beach so there isn’t much shade. The vibe here is very relaxed and laid back. Prices at Santa Teresa tend to be a bit on the higher side, so we love to pack snacks and rely on restaurants for fewer meals. Want to know how to save money in Costa Rican restaurants? Find out here! 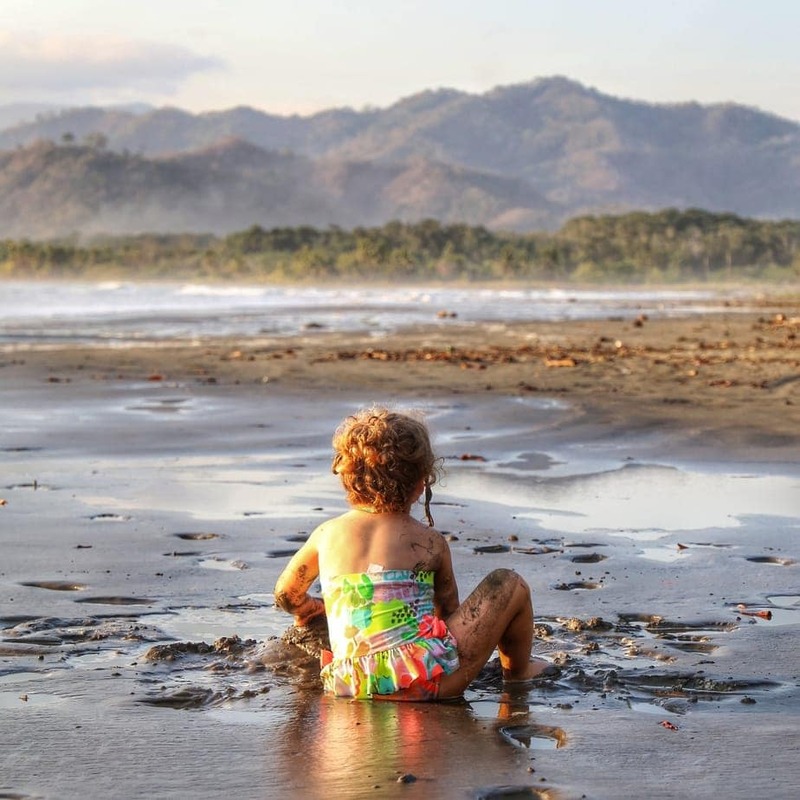 This beach is located just about 15-minute drive from the ferry that connects the Nicoya Peninsula to the mainland, making it a great weekend trip for ticos living in the Central Valley. The beach is extremely calm- and home to lots of Costa Ricans who make great food. 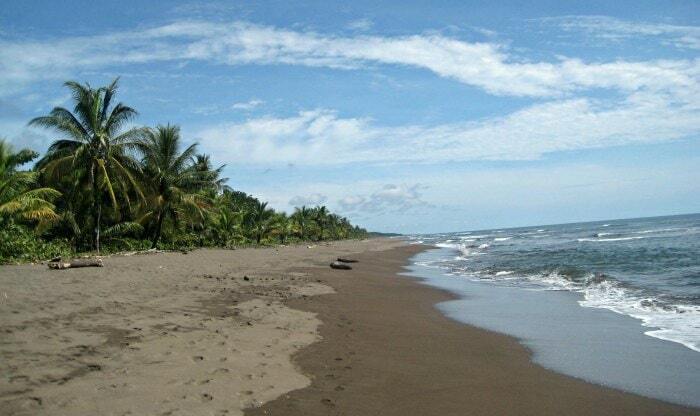 The all-inclusive resort Barcelo Playa Tambor is also located on this beach. Off the beaten path you will find Playa Coyote and Playa San Miguel. Next door to each other, the beaches are similar- lined with private homes and tiny restaurants. There aren’t gas stations for miles, and lots of tico families spend extended time here. Playa Coyote houses a couple of supermarkets and restaurants, so stock up on your supplies here. The beach is long and wide, with tan sand and gorgeous waves. 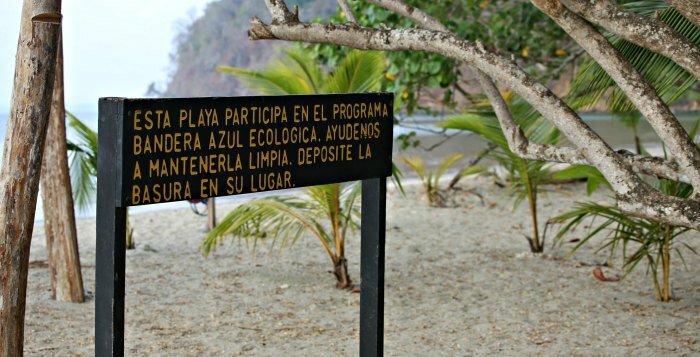 Playa San Miguel is one of the eight cleanest beaches in Costa Rica, garnering the prestigious Playa Azul flag. Turtles nest here and come home year-round, and the beach is three miles long. Perfect for walking! You can boogie, surf, skim board or just enjoy the view. There isn’t a ton of shade near the water here, so bring an umbrella and chairs. 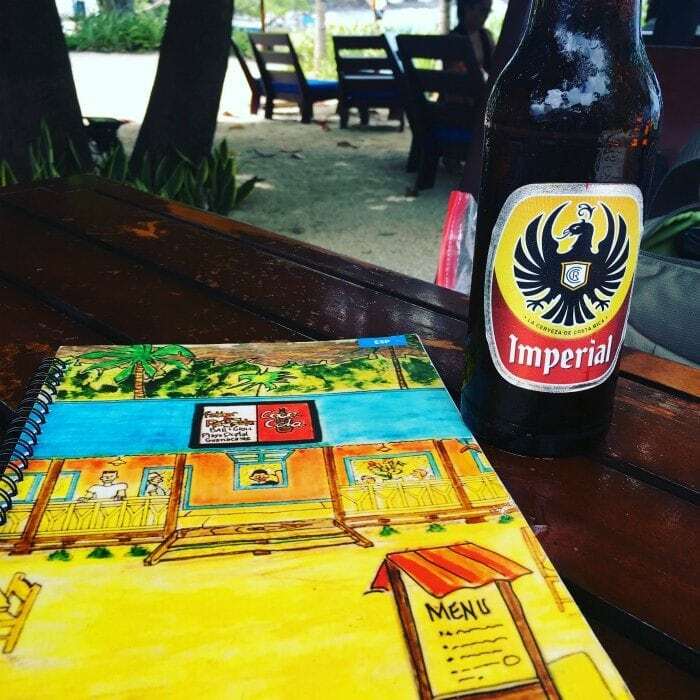 Finish the day with a beer and a bite at the only restaurant on the beach- Cocos Locos. It’s made from a shipping container! Prices are a bit high so ask how much things cost before you buy. 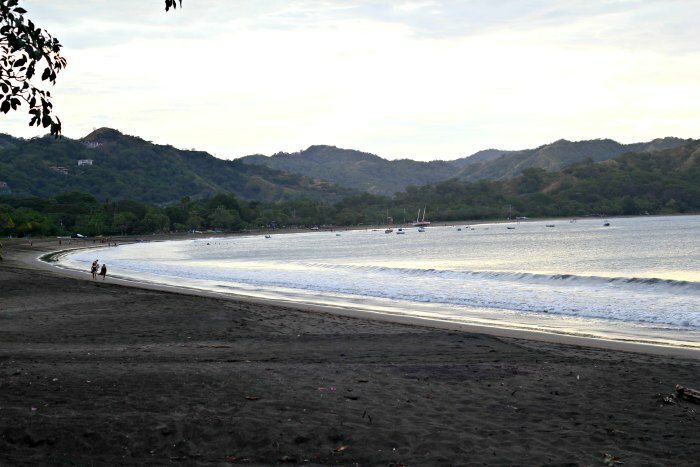 Jaco is the quintessential Costa Rican tourist beach. Located just about 90 minutes from San Jose, it’s where people go to party. The North end of the beach is hopping- surfers, prostitutes, Spring Breakers, bachelor parties- it’s nuts. Don’t miss RiOasis for pizza or the fun little soda Marea Alta just off the main drag for cheap typical foods. We recently discovered the South end of the beach, home to family-friendly lodging and restaurants, as well as close to the famous hike to the beach overlook. Jaco is home to every type of shopping, food, tours and other amenities imaginable. Just keep an eye of your pocketbook- prices are generally high as is crime. Jaco Beach Costa Rica recently became the first Central American beach fully accessible to people with disabilities. The beach access is open Monday through Sunday from 8 am to 4 pm and includes parking, bathrooms, and the accessible beach walk. The boardwalk is made entirely from recycled plastic bottle tops and plastic bags. Overwhelmed with planning your Costa Rica trip? We can help! Just 15 minutes north of Playa Jaco is Mantas Beach, one of the best-kept secrets in the area. Located near the famous Punta Leona resort complex, Playa Mantas is a hidden gem for families and those wishing to escape the craziness of Jaco. There are no services at Playa Mantas- but there is a pizzeria, ice cream shop and mini supermarket just about 3/4 of a kilometer off the beach. Expect almost no waves, water so clear you can see your toes, and tons of shade trees lining the beach. Manuel Antonio beach is located just south of Quepos, and home to one of the most popular and famous national parks in all of Costa Rica. The beach itself is relatively small and home to some crazy rip tides. Visitors from all over the world flock to Manuel Antonio to see the birds, iguanas, monkeys and insects that make their home in the national park. Plan your visit to Manuel Antonio well in advance, and expect large crowds. This is a must-see area for many visitors to Costa Rica, but if you are looking for tranquility, you are better off heading a bit south to Dominical. Dominical Beach is a long rocky beach located about an hour south of Manuel Antonio. Waves are large and there is a relatively large rip current, but the beach is generally pretty deserted and there are restaurants, shops and accommodations for every taste and budget. We love to eat lunch at the beachfront Tortilla Flats- which also has very basic accommodations for under $25. Even further south from Dominical is Bahia Ballena- or whale bay. It’s named more for its geographical structure- the bay looks like a whale tale. Whales can be spotted offshore here, but not year-round. Recently the beach has gained lots of popularity for its Instagrammable whale tail formation at low tide. Parking is ample at whale bay, it’s located near the national park, and there are nearby restaurants and few services at the small town. Whale watching is August- November and December-April. For the very adventurous, Drake Bay is the place to go. It’s the last town before Corcovado National Park, home of every single Costa Rican bird and animal species imaginable. Drake Bay is accessible by car only during the dry season. If you are headed to Drake Bay in the rainy season you’ll have to go by boat through the mangroves and then through the mouth of the river to the town by the beach. Drake Bay is about 6 hours south of San Jose- you can take jumper planes there if you are short on time. It’s only been about 10 years since Drake Bay has electricity and internet, and the vast majority of the inhabitants still live a very off the grid, laid back lifestyle. There are tons of accommodations and restaurants for every taste and budget here. Expect to find an endless number of beaches to explore via the vast trail system that leads into Corcovado. You can also spot whales and dolphins on the way to Cano Island- the perfect place to snorkel and dive.